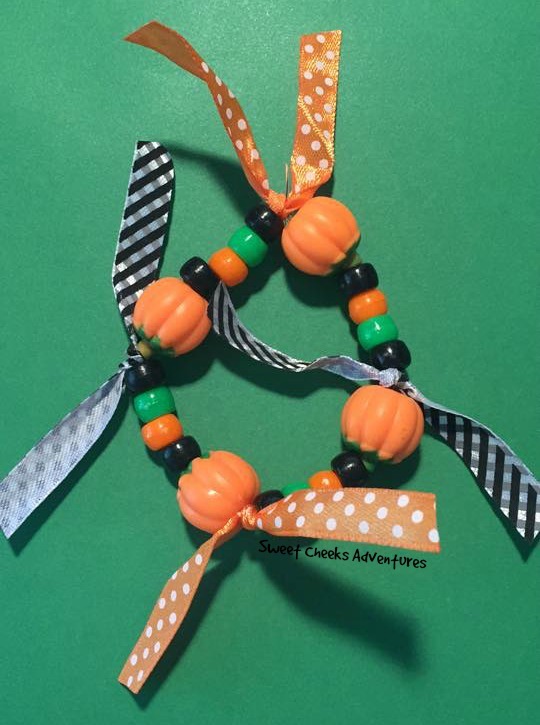 Sweet Cheeks Adventures: Halloween Party needs from Oriental Trading Company! 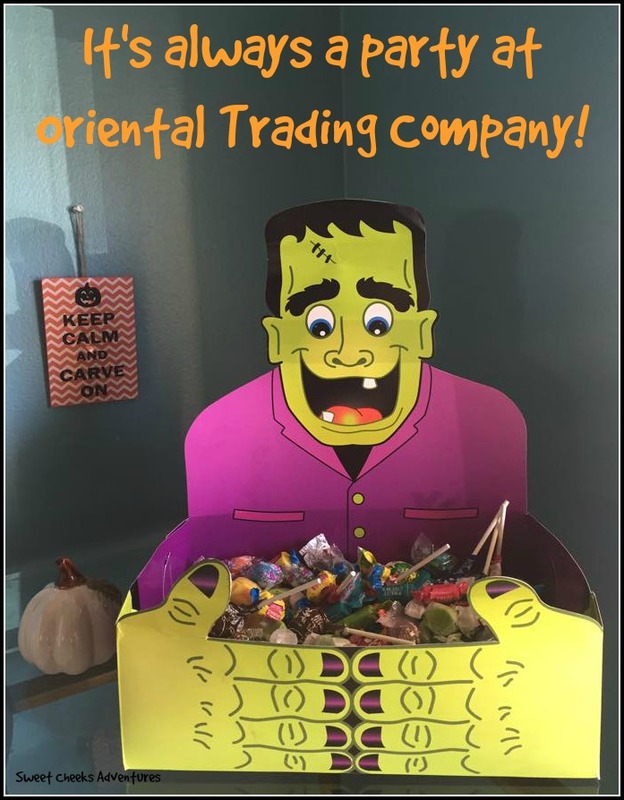 Halloween Party needs from Oriental Trading Company! A special thank you to Oriental Trading Company for sponsoring today's Halloween discussion. Halloween season sparks all of the good feelings in my belly! It means October is near or has started. Birthday month for me, but even more important... My children get to dress up and have an awesome time with their friends and end the month by Trick or Treating! Lots of candy and occasionally we have a fun event for the parents too! This year we'll be having a Halloween party and I called upon Oriental Trading Company for treats for the Littles! I went to Oriental Trading Company for my craft needs. We will be having a lot of kids at the party, so I decided we needed something to keep them busy! There were so many options! The amount of items I had in my cart before narrowing it down was quite frightening! I decided on a pumpkin bracelet and a sand art activity. The kids are going to LOVE these! It wouldn't be a Halloween Party without a little candy, right!? Check out this so very cute Frankenstein candy holder. It was easy to put together. The space to add a bag of candy is large, so be sure to buy the big bag! Oriental Trading Company can help you with that too! I opted for the 2lb Kid's Pik bag! It has tootsie rolls, suckers, bubblegum and more! To go along with the candy, there are really great party favors! I chose little stuffed witches, ghosts and vampires! I can't get over the cuteness happening. 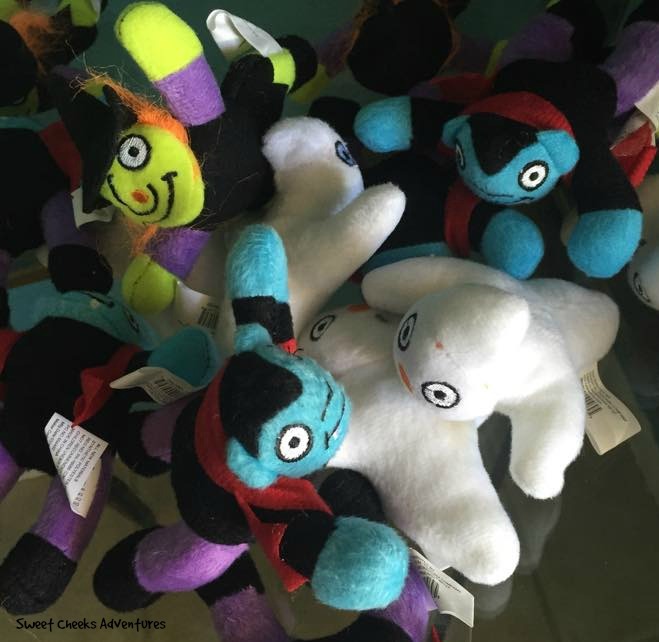 These little guys are small yet sturdy and stiff characters that I'm sure the kids at our party are going to love! Halloween is almost upon us. Get your order in! Your party will be so great with a little help from Oriental Trading Company! Visit www.spooktaculargiveaway.com today and enter to win our weekly prize -- $250 in Halloween products of your choice from Oriental Trading. 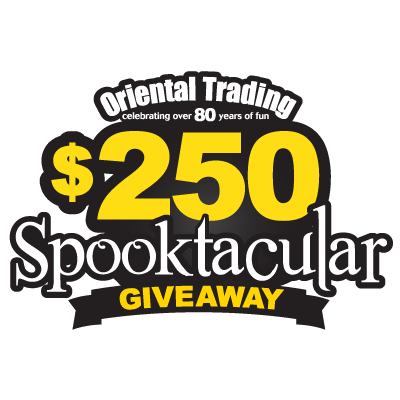 Plus, we’re giving away a $25 Oriental Trading gift card every day! Contest ends October 17, 2015. I love the candy dish sooooo cute! Your parties are always fun when you have Oriental Trading! I also love oriental trading. I was just checking out their website the other day. Bella wants to be Joy from inside out for Halloween. Oriental Trading company has the best stuff for parties and holidays! I always order party supplies through them. Oriental Trading has fabulous trinkets for any holiday! I love getting my Halloween party supplies from them each year! Great picks! I totally need to check out their Halloween supplies. They probably have some cool costumes too. I love Oriental Trading! They have such a great selection and are so affordable! These are too cute! I just love the Frankenstein candy tray. I will check this out. I had actually forgotten about Oriental Trading. We have a Halloween Party so I will go check them out to find some great games and decorations for the kids. I love Oriental Trading Company and have ordered from there many times. They have great stuff for all holidays and occasions and have great prices too. This is a great giveaway. I will have to head over to Oriental Trading Company to get our decorations for this Halloween. I have never been to the Oriental Trading Company. I will have to see where the closest location is to me. I need to get all new Halloween decorations this year. Oriental Trading has the most awesome stuff. I had to stop looking at the catalog because I was coming up with excuses to buy more and more, lol.